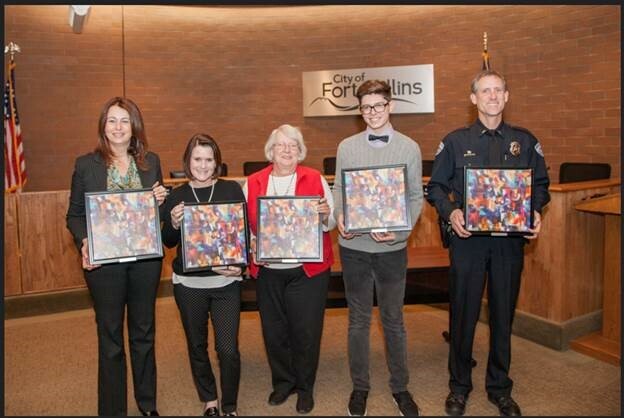 Every year the Human Relations Award recognizes those in our community who promote acceptance and respect for diversity in the City of Fort Collins. Nominations are taken in the five different categories outlined below. For over two decades, the Human Relations Award has recognized the outstanding contributions Fort Collins residents have made to minority and disadvantaged citizens in the community. Award recipients have embodied the spirit of inclusiveness, giving and altruism that has made Fort Collins into a better place for all people to live. Nominations are taken in all categories throughout the year, the 2018 deadline is October 26, 2018. The nominations consist of a description of the nominee’s efforts and a few recommendations. Award winners recipients will be decided upon by a panel of volunteer judges. All awardees are invited to the Human Relations Award recognition ceremony, to be held in December. The event, is designed to celebrate the accomplishments of awardees. The awards will be presented by the City of Fort Collins Mayor. Other dignitaries invited include members of the City Council, and other top Fort Collins officials.